The team fabricated T cells using a microfluidic system. (Microfluidics focuses on the behavior, control and manipulation of fluids, typically on a submillimeter scale.) They combined two different solutions—mineral oil and an alginate biopolymer, a gum-like substance made from polysaccharides and water. When the two fluids combine, they create microparticles of alginate, which replicate the form and structure of natural T cells. 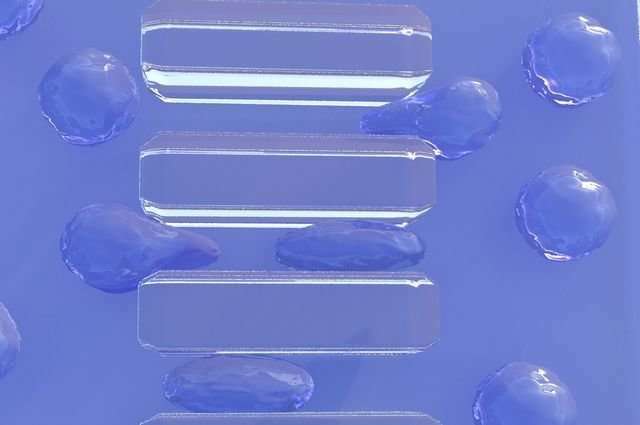 The scientists then collected the microparticles from a calcium ion bath, and adjusted their elasticity by changing the concentration of calcium ions in the bath. Once they had created T cells with the proper physical properties, the researchers needed to adjust the cells' biological attributes—to give them the same traits that enable natural T cells to be activated to fight infection, penetrate human tissue and release cellular messengers to regulate inflammation. To do that, they coated the T cells with phospholipids, so that their exterior would closely mimic human cellular membranes. Then, using a chemical process called bioconjugation, the scientists linked the T cells with CD4 signalers, the particles that activate natural T cells to attack infection or cancer cells.